His physical response to my question (picture someone biting into a lemon when he thought it was a peach) suggested I had asked a dumb question. But here’s the big surprise. My dumb question led to an informal but informative discussion on hitting in particular and the general state of my Major League team of choice, the Houston Astros. Ty Van Burkleo, the Astros’ minor league hitting coordinator, gave me several minutes of his time just because I had asked a dumb question and was willing to listen to correction. Here are few observations about dumb questions. They open the door to conversation. Engaging conversation leads to asking better questions. Listening for the answers allows one to become better informed. And a few words about correction from the book of Proverbs (all from the NIV). I don’t mind asking dumb questions but I sure don’t want to be stupid. I’m curious. What’s a dumb question you’ve asked or been dying to ask? 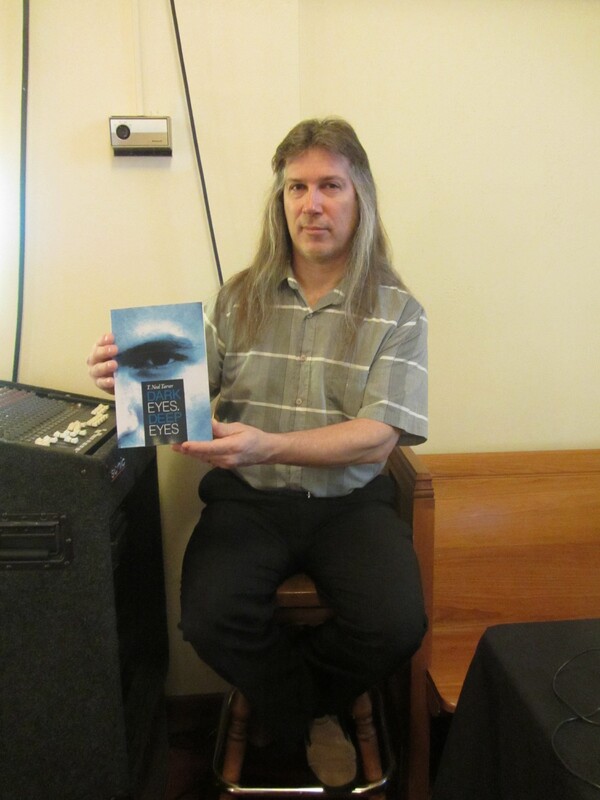 “Dark Eyes, Deep Eyes” hangs out in the back of the church with my friend Mike, the drummer and sound guy. 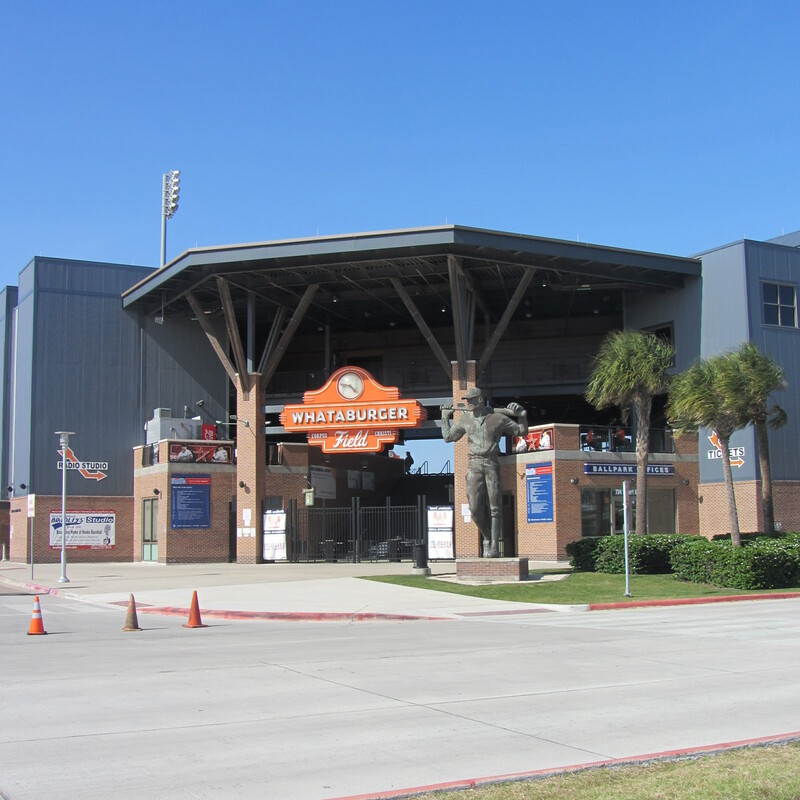 This entry was posted in Lessons from Sports and tagged Asking questions, Corpus Christi Hooks, correction, Houston Astros, Minor League Baseball, Proverbs, Ty Van Burkleo. Bookmark the permalink. I like your favorite Proverb verse too. It is actually flattering to get corrected (in a nice way) since they actually think one can improve. Good point. I know, in working with other writers, the moment I stop critiquing/correcting is when I stop caring. I need to become more comfortable with asking dumb questions. I usually just keep quiet. I also need to get more comfortable with others asking dumb questions and not react with a face that says I think they are stupid. I do this with my youngest son, who is adopted and missed out on a lot of proper modeling and training early in life. He needs to ask dumb (5-year-old) questions to sort of make up for what he lost (he’s 11), and I need to be more patient with that. Thanks for the reminder of that. Lord, help me! My niece’s daughter kept asking lots and lots of dumb questions when my brother and I were hiking around some property he was considering buying. I recognize that youthful curiosity working around in her young mind needed an outlet. It’s something, as we’ve gotten older, that we’ve stifled to some degree. The fear is becoming the one to stifle another’s curiosity. God bless you as you work through that process. Dumb questions are easy to come by….do it all the time….but admitting it and taking the time to listen to someone correct me is much harder….still working on that one….guess it is not the asking that makes me stupid, but the not listening. thanks for reminding me of the importance of listening and heeding the correction, especially when it comes from God. Yep, Mary, the difference between being wise and being foolish isn’t the questions we ask. It’s the ability to listen for the answers. Good point. So, this inquiring mind wants to know: What did you say NEXT? After he said “None”? You did/said something to keep the conversation moving! I asked what batting tips he would recommend. I sought the same information but didn’t assume a particular answer. From there, we talked about the Astros’ organization and its future.